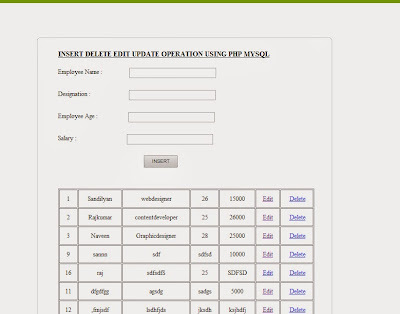 This is one of the simple php code to insert the data and delete edit update and view operation using php and mysql the below images shows the view of the data you may delete and edit the data using the links in the table. The particular link will delete or edit the particular data using id. You can insert the data in the same page using the above form. It directly insert your data and it will be listed in the below table. 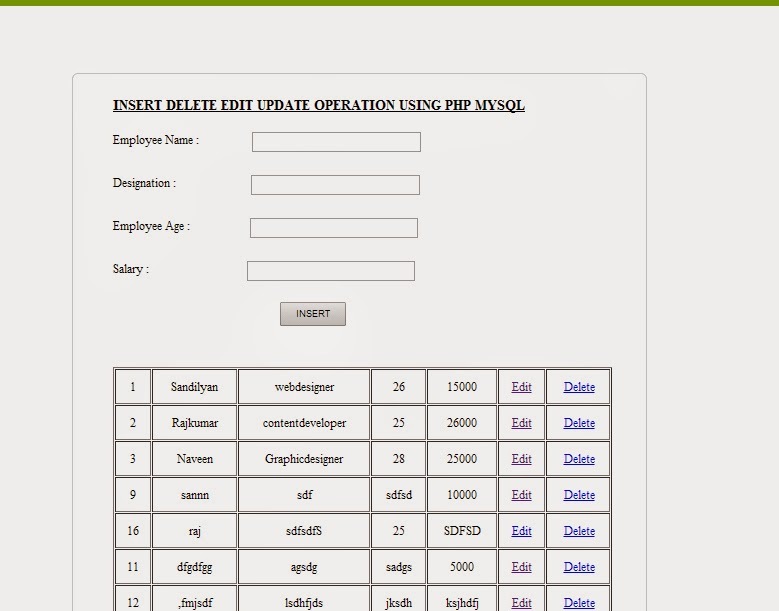 I given the full source code here to for simple insert, view, edit, update functionality using php and mysql. Here i am not used any ajax concepts. This is one of the simple idea but you can implement projects using this as a base. The below example shows all operation about the data. download the snippet for free.